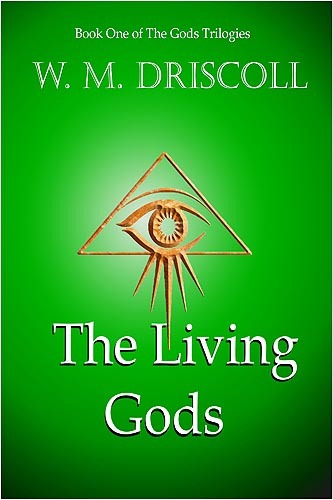 The first book of The Gods Trilogies, The Living Gods, invites the reader into a new fantasy world, rich in history and luxurious in scope. Unfolding in far-flung locales, from the ancient Elohime ruins of Reliquay to the coastal merchant city of Lee, it is filled with lovable characters and grim enemies, other worldly creatures and abandoned innocents. W.M. Driscoll is a poet and writer. He resides with his wife Kelly, their two sons Sean and Erik, a large dog and two black and white cats in the mountains of somewhere U.S.A.